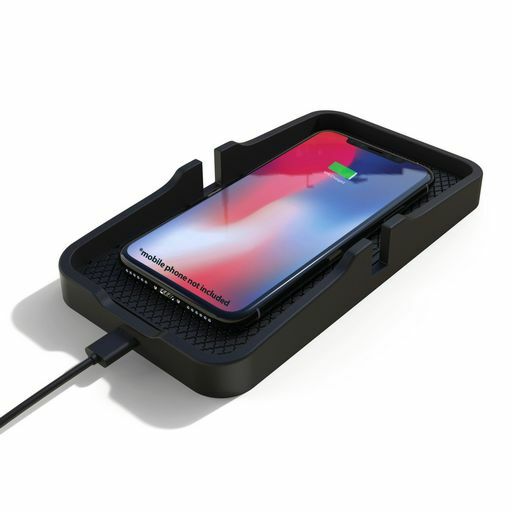 Aerpro AP10QI Anti-slide Wireless Charging Pad for home or car use works well with Qi-enabled smartphones and other mobile devices. The AP10QI features over voltage/temperature protection, and can automatically detect your device and adjust the settings to allow the fastest wireless charge possible. It also sports a non-slip charging base that holds the phone steady at all times. Supports 9V high power input. Includes 1M USB Type-C charging cable, requires a USB car charger for power.